Kevin Kling just listed a stunning, spacious and affordable condo in Daytona Beach Shores. Cloverleaf 5A4 offers three bedrooms, three bathrooms and 1,900 living square feet. 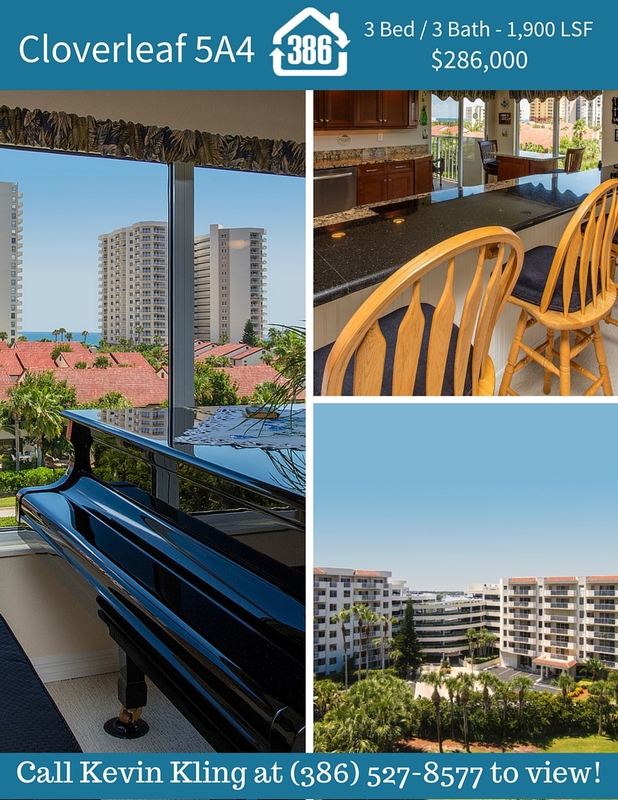 Enjoy ocean views while living in this convenient riverfront building. Meticulous upgrades can be found throughout this Cloverleaf condo. Call (386) 527-8577 and schedule a showing today before this one is gone!